Wow. Here we are. 365 meals. When I took on this project I remember wondering if I’d indeed be able to find a year’s worth of food worthy of a daily narrative. I prayed my lofty goal wouldn’t crater about two months in due to a lack of variety. Somehow the food gods smiled upon me, and this project crossed the finish line. I am not a chef or food critic. I have no training in anything culinary, and make no pretense about knowing anything about food other than what I have taught myself this year. I am just a regular guy who enjoys flavor packed foods, and I hope to share my love of Vietnamese cuisine and culture with anyone who is interested. Along the way I have consumed I don’t know how many thousands of calories, walked literally thousands of miles exploring cities, met some great people, and even shed over 30 pounds (15 kilos). Perhaps I should trademark the Saigon Diet for my hefty brethren back home in the US. 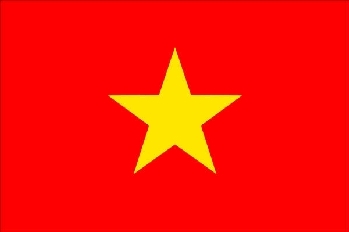 I depart Vietnam for good after a several year stay and am a better person for it. My bags are packed but noticeably absent are the tacky souvenirs peddled all over tourist areas. I feel I am taking with me something even better and more memorable though not as tangible as lacquered wood or a conical hat. This culinary journey is something I shall forever remember and is the best memory of Vietnam I could possibly take home. Getting out on foot almost daily on long three hour walks led me and friends brave enough to tag along deep into a side of Vietnam largely unexplored by tourists and expats alike. Where my two feet took me was so far off the guidebook maps and is probably the version of Vietnam uncut and unfiltered that westerners are seeking out via their guidebooks yet never find. Thank you Vietnam for providing such a wonderful canvas to explore new tastes. And most importantly, thank you all of my fellow food lovers and friends who stopped by to check out the daily menu. If you have enjoyed what you have read, please pass www.getoffthetrail.com onto anyone you feel might enjoy it. Congrats! It was fun to follow your foody adventures. Have a safe trip back to the States. Thanks again Capt. Thanks. It went by too quickly. I loved every part of creating this blog and eating the food. For those of us remaining in Viet Nam, you have left a great resource. Your collection will help to get beyond the normal VN street food fare and try some different dishes. Thanks. Thanks…I miss Vietnam already. I may have to make bun cha and fish sauce my Thanksgiving tradition rather than plain ole turkey and gravy. Damn! I just got back from living in Hanoi about 2 months ago and just now found your blog. It’s great! Thanks for the documents. Any chance you’ll post your attempts at making some of these dishes in the States?